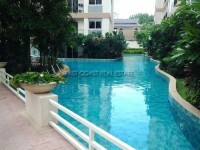 Venetian Condo, This unit is 1 bedroom, located on the 4th floor, 32 sqm, fully furnished including European kitchen, air conditions and free cable TV. 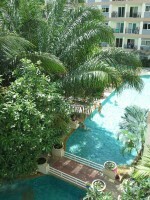 The building provides communal swimming pool, 24 hour security, key card access, CCTV, fitness and parking. Venetian signature located near in jomtien, Only 5 Min from Jomtien beach, near Mimosa Pattaya, restaurant, Thepprasit market, makro, sukhumvit road and etc.